If you want to file your return on time and can’t access your income statements such as your W-2 right away, you can file Form 4852 (Substitute for Form W-2). You can use this to estimate your income and withholding taxes. If you obtain your income statement afterwards, you can file Form 1040X to correct your taxes. Click here to go to our blog on how to file taxes without an IRS W-2 Form. If you don’t have a record such as receipts or documentation of your expenses and you’re itemizing, do not report it or round up your numbers. Report your expenses safely to avoid the potential risk of an IRS audit. 4. Penalties are applied to you if you file late. This statement only applies to taxpayers who owe taxes to the IRS. If you are receiving a refund from the IRS, filing late will not affect you in any way. However, if you do not file by the tax deadline and pay your taxes on time, you will be subject to the failure-to-file and failure-to-pay penalties. These penalties will accumulate each day your tax goes unpaid. It can go up to the maximum of 25% of your tax due to the IRS. This means that you will end up paying more than just your tax liability; including interest. For more information on penalties, click here. 5. If you file an extension, it gives you until October 15 to file. Once April 15 rolls around and you’re not prepared to file your taxes, or need extra time to gather all your documents, file an extension. However, once April 15 passes, you cannot file an extension. Likewise, after October 15; the e-file and extension deadline, you will be required to paper-file your return and it is considered late if you have a tax due to the IRS. The bottom line is, use your time wisely. For taxpayers who know they’ll owe taxes to the IRS, they will need to estimate their taxes they owe to the IRS and pay it. This can be done through the IRS website and using Direct Pay. 6. The IRS can hold your refund. If you’re getting a refund this tax season, the IRS can hold your current year refund if you didn’t file prior year tax returns. In other words, if you didn’t file your 2017 tax return or any other prior year return, you should file it right away. This ensures that you show that you don’t have any tax debt. Otherwise, the IRS will apply your refund to your tax debt and use it. File your taxes before it’s too late. 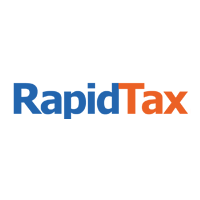 With Rapidtax, all you need to do is create an account, enter your tax information, submit your account with payment and then we’ll e-file your return. Next PostNext Can I Still Claim My 2015 Refund?